Mike Bellm's TCs has been serving the TC shooting community for over 30 years, you are buying from the trusted TC Encore and Contender expert. 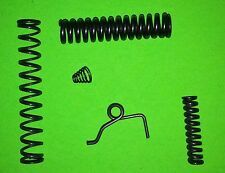 Replace your worn, rusty, or fatigued spring with a new BELLM trigger guard spring. Mike Bellm's TCs has been serving the TC shooting community for over 30 years, you are buying from the trusted TC Encore and Contender expert. Replace your worn, rusty, or fatigued spring with a new BELLM trigger guard spring. Tip: Print this page out so you have the disassembly/reassembly sequence and safety function checks handy. Mike Bellm's TCs has been serving the TC shooting community for over 30 years, you are buying from the trusted TC Encore and Contender experts. Brand New! Handgun Parts For Your Favorite Gun! Mike Bellm's TCs has been serving the TC shooting community for over 30 years, you are buying from the trusted TC Encore and Contender expert. Tip: Print this page out so you have the disassembly/reassembly sequence and safety function checks handy. In the case of excess headspace, what happens is this. Especially with rimless or belted magnum ammo and the barrel's spring loaded extractor, as the barrel is closed the case is pushed into the chamber by the breech face and the case head remains close to the breech face when the barrel is closed.